West Bangal based Vibgyor Vehicle is all set to launch Vibgyor Persona 110 cc and Persona 200cc in Indian market. The new bike will be available in the month of February 2011. 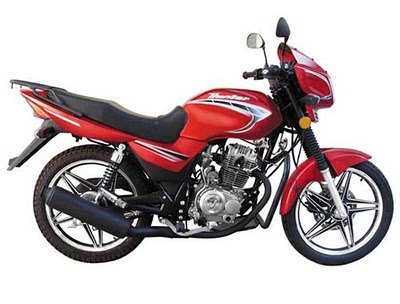 Already the company has entered in commuter bike segment with the recently launched Vibgyor Hunter (125cc) and Vibgyor Shark (150cc) and getting good response. Now Vibgyor Vehicle is ready to introduce Vibgyor Persona with 110cc and 200cc variants. With the launch of this bike, the company wants to capture some market share of Indian two wheeler market. The most awaited Vibgyor Persona 200 will be major competitor of Bajaj Pulsar 220 which is the most popular bike in India while its recently launched Vibgyor Hunter is creating a competition with Hero Honda Splendor, Honda CB Twister and Yamaha YBR which are the popular bikes in India. 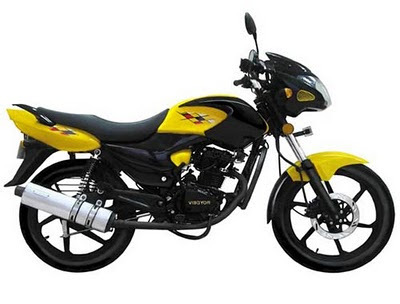 The another 150cc Vibgyor Shark is the major competitor of Honda Unicorn, Hero Honda Hunk, Yamaha FZ and TVS Apache RTR 160 which are the flagship bike models in premium segment. All the Vibgyor bikes are available with affordable and competitor price than other same segment bikes. Vibgyor Vehicles wants to spread its wing in pan India and its is planing to set-up 520 authorised dealers and 1200 sub-dealers. Vibgyor might be launched their new bike and if we talking about this bike then we will find its new good looking body as well engine power.